Being lovers of the outdoors, it makes sense that as soon as the weather turns nice, we all don our shorties and play in the summer sun. Little ones can be a bit hard to dress in the warm weather though as, if your children are anything like mine, as soon as you stick a pair of shorts on them, they drop trou' and strip themselves off. 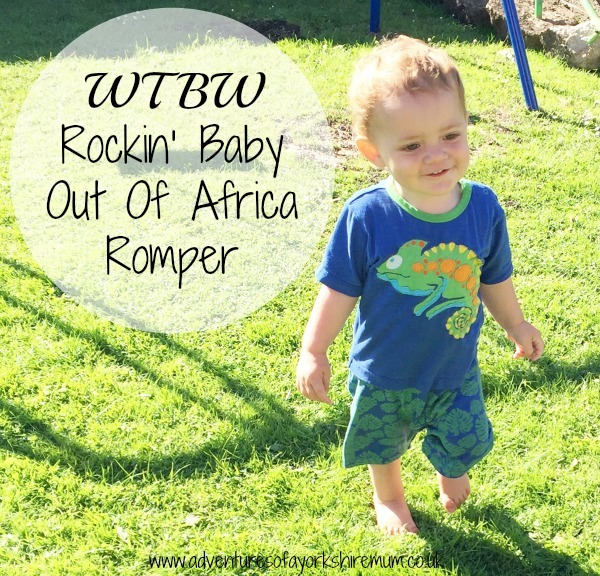 That's where my love of rompers came in. I just think they are so funky and functional. And what a better company to get one from than Rockin' Baby who donate one piece of clothing to those in need, for every piece of clothing sold as part of their Mother to Mother/ Child to Child campaign with a philanthropic mission of one-for-one. You buy, they give. Incontinence Should Not Be A Taboo Subject! Incontinence is a very common problem in society. For example, during the later stages of pregnancy, a lot of strain can be put on the female's bladder which can sometimes cause incontinence. All that pressure from the little bundle of joy weighing down, leaves the pelvic floor muscles in tatters and can cause women to suffer with incontinence. Unfortunately, incontinence isn't something that is spoken about much in our society. It's a taboo subject that people skirt around and don't want to talk about. But it should be talked about, we shouldn't make new mums feel like they ca't talk about things because it's uncomfortable. Stress incontinence happens, and there is nothing to be embarrassed about. I mean, you've just been through one of the hardest things you'll ever have to go through, giving birth, which means someone has been peering down there whilst you squeeze a tiny person out of you. With Summer supposedly here right now, it's about time that we stock up on clothing for the boys, ready for when the weather does, eventually, turn nice. I love shopping for children's clothing and I think it's great that you can now find all sorts of different designs and patterns for our boys, not just the regular blue stuff. 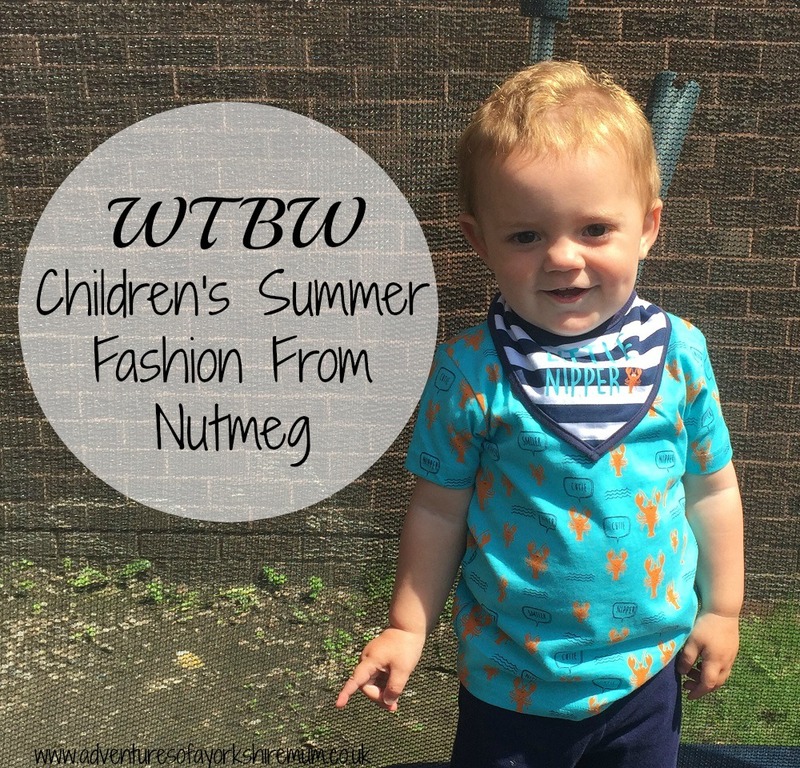 We were contacted by Nutmeg who have sent the boys all an outfit each from their new Summer range. Nutmeg is available from Morrisons in most stores. 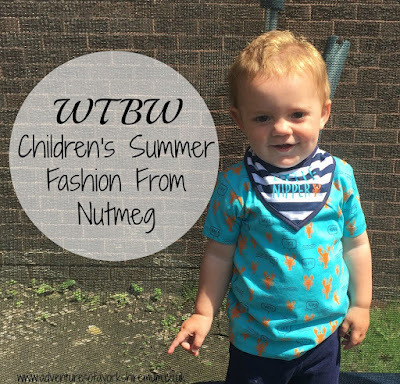 I think it's amazing that you can now go on a children's clothing rampage whilst out buying a loaf of bread, it just makes it all so much easier (although our shopping trips take twice as long now as I'm fawning over beautiful baby clothing!). To little ones, the world is such a big place to explore an learn about. Touching, seeing and doing everything they can to get around and find new and amusing things. Joseph is at this stage where he just wants to press everything, explore everywhere and enjoys the world around him. So when we had the chance to become HiPP Explorers and get to venture in to new loves and like, learn about new things and let Joseph try some yummy meals, I thought it would be great. 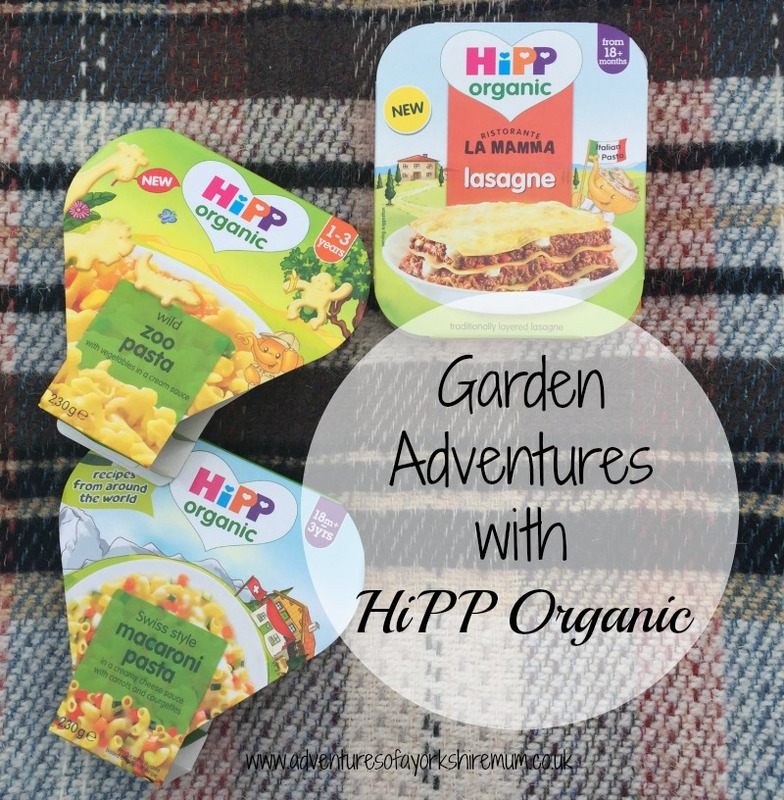 You see, I love HiPP Organic and the range of foods they offer.